Let's go hunting! The apex predator of the African savannah knows that they need to have a constant source of protein to stay at the top of the food chain. So the basically the skinny is that they're putting out the word for ALL carnivores to join their ranks. They've got ads on craigslist, in print, and on the radio looking for the best of the best. Do you think you have what it takes to join the pride? 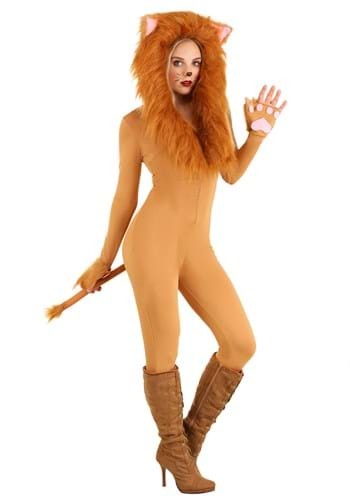 Whatever kind of adventure you envision for your costumed event, we're sure you'll have a fantastic time with this elegant lion costume. Whether you want to rule the jungle, the savannah, or even go over the rainbow, this look will have you ready for anything!